Bryce performs bi-weekly for patients of MN Children's Hospitals & Clinics as a live host of his very own show, Totally Drawsome! 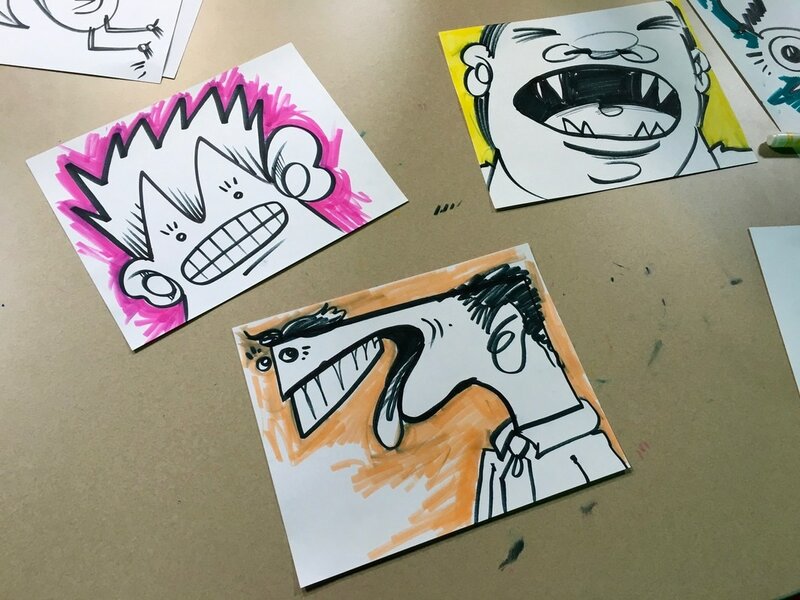 Before each show, patients send in a quick squiggle, scribble, or doodle. 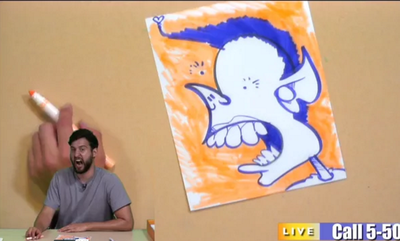 Then, during the show, Bryce turns each scribble into a fully-developed, original piece of artwork! 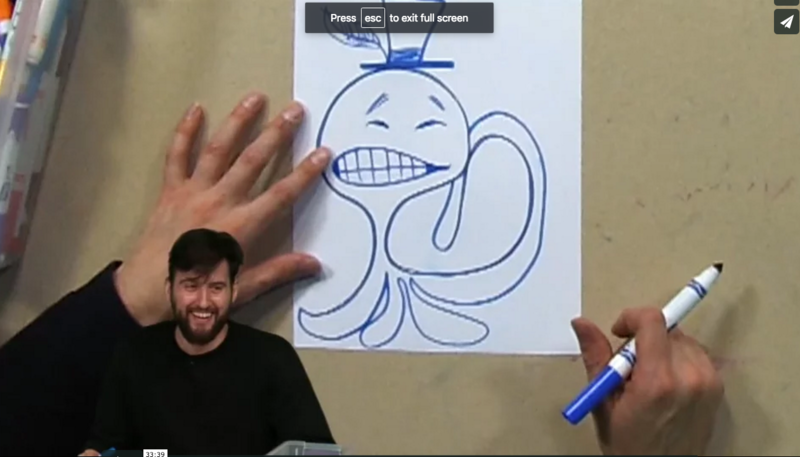 Kids can watch their scribble drawing come to life on live TV, and take it home when it's done!